Replacement battery for ST-ALLIN1-TEST meter. 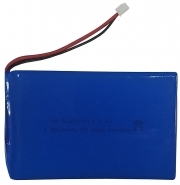 7.4V 5400 mAh Lithium polymer battery. The 7 inch touch screen IP camera monitor and tester is designed for maintenance and installation of IP cameras, HD over coax cameras (TVI, CVI, SDI, AHD), and analog cameras as well as other security equipment. The 1280 x 800 resolution enables it to display HD cameras and analog cameras in high resolution. The unit supports many HD over coax PTZ, ONVIF PTZ and analog PTZ controls. 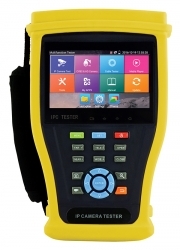 The tester is also a great tool for Ethernet network testing. It can test PoE power voltage, perform PING tests and IP address scanning. You can use the blue cable tester to check the termination and cable type of network cables. Other functions include providing 24W PoE power to your IP camera, an LED Flashlight, 12VDC 2A power output and much more. Its portability, user-friendly design and many other functions make the IP BUDDY+ ALL IN 1 an essential tool for all installers or technicians. The SecurityTronix ST-HDoC-MM is designed for maintenance and installation of HD-CVI, HD-TVI, AHD, SDI and analog cameras as well as other security equipment. Its 3.5” 480 x 320 resolution screen enables it to display images from HD cameras and analog cameras in top quality. The unit supports HD over coax, PTZ, ONVIF PTZ and analog PTZ controls. It includes the ability to test UTP cables while verifying the sequence of the individual conductors. The meters portability, user-friendly design and multi-function capability make it an essential tool for installers and technicians, greatly improving work efficiency and simplifying installations and system maintenance. Replacement battery for the ST-HDoC-MM test meter, maximum discharge current 5A, maximum continuous discharge current 4A, battery charging cut off voltage 4.2V, charging current 1A. Replacement battery for ST-HDoC-TEST-MINI2 meter. 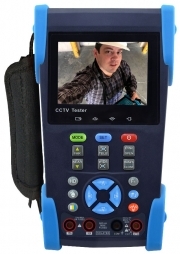 The ST-HDoC-TEST-MINI2 is a 4.3 inch IP camera tester with an 960 x 540 capacitive touch screen designed for the installation of analog, IP, HD-TVI, HD-CVI & AHD cameras. With an ONVIF PTZ controller this meter supports more than 40 customized IP camera protocols, mobile apps to view IP camera images and contains built-in WiFi to receive network images and data. The FTP Server, Static IP address, DHCP, simultaneously test different segments of IP cameras along with network bandwidth testing. The PoE 24W power supply can power IP cameras and test PoE voltage while the DC12V2A power output will power most analog cameras. The HDMI signal output supports 1080p. Additional features include USB 5V 2A power output to mobile phones, PoE port finder, link monitoring, IP camera ping testing, IP address scan and a BNC input & output. Both IP and analog images can be zoomed in up to four times. The meter supports snapshot, video recording and playback. It includes 8G SD card, NTSC/PAL auto-selection, analog PTZ control, preset settings, UTP cable testing, PTZ data analysis, RS485 communication address scan and audio input testing. The 7.4V DC 5000mAh lithium polymer battery can power the unit for up to 16 hours after charging for seven hours. Screen protector for ST-HDoC-TEST-MINI2 meter. 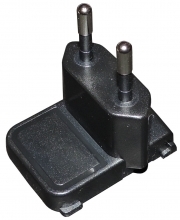 Power supply adapter for 12V 2A power supply to adapt to Australian electrical sockets, works with ST-IP-TEST, ST-SDI-TEST, ST-HDoC-TEST-MINI, ST-HDoC-TEST-MM, ST-ALLIN1-TEST, ST-IP-TEST2, ST-ALLIN1-TEST2, and ST-HDoC-TEST-MINI2 meters. 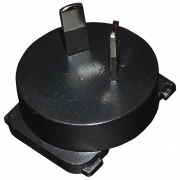 Power supply adapter for 12V 2A power supply to adapt to European electrical sockets, works with ST-IP-TEST, ST-SDI-TEST, ST-HDoC-TEST-MINI, ST-HDoC-TEST-MM, ST-ALLIN1-TEST, ST-IP-TEST2, ST-ALLIN1-TEST2, and ST-HDoC-TEST-MINI2 meters.